Apart from its aesthetically appealing design, the biggest benefit that you get from using GolfBuddy PT4 is that you will have not only the largest but also the highest screen resolution for handheld devices currently available on the market. This GPS device also offers the speed of a smartphone when touched and in measuring and hence guaranteeing you of fast and accurate data when on the green. Speed and accuracy are perhaps the two most important things that golfers look for in golf GPS devices and with the PT4, you can be assured of both. 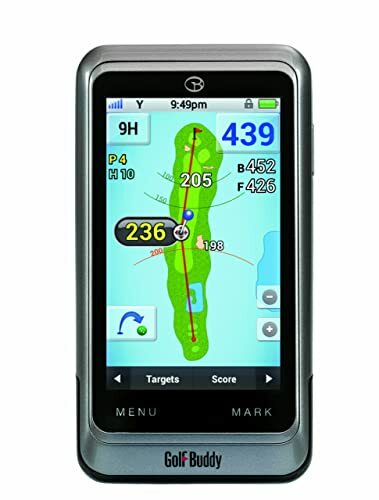 I have been golfing for more than a decade now and have used all types of golf wearable’s and handheld devices, but I must admit that when I saw the GolfBuddy PT4 I had no idea that it was a GPS. 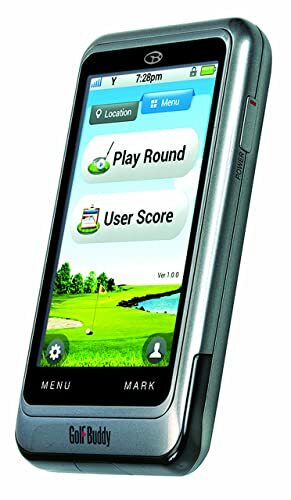 At first, I was convinced that it was a smartphone due to is appearance and size but when I got to use it, I realized it was the best Golf GPS ever. First the large and very sensitive screen made using it very easy and secondly it was packed with all the essential features that a golfer would ever need in a GPS. And although there is probably nothing out of the norm you will probably think that everything is new judging from how they work. What I liked most, however, is the Super Hole Views feature because it makes golfer understand the layout of the holes much better. Below are the other features that you should expect to get from this GPS. Preloaded Courses: Just like most other devices from GolfBuddy it comes with more than 37,000 courses from across the world and the vital hazards information. Screen: It has a four-inch LCD screen that is bigger and has a higher resolution than most other devices currently on the market. Battery: It has a rechargeable battery that can last up to eight hours on a full charge. Apart from the long life, the battery is also replaceable and most importantly water resistant. Digital Scorecard: This is one of the main features of the device and with this you can store your scores for later review or to share with friends. Auto Course and hole recognition: All you need to do is power up the PT4, and it will automatically recognize the course you are playing on. The PT4 also automatically identifies and advances to the next hole. Multilingual: Allow you to choose the language you like or understand best from the eight languages available. Statistics Analysis Mode: This feature makes things easier for you as you can analyze the different statistics that you get to understand your game better. On-hole Positioning: The target icon screen allows for on-hole positioning and it also has custom target capabilities. Shot Distance Measurement: Although this is a common feature on most top range GPS it is very vital when playing golf, and so the PT4 makes sure you have it at your disposal. This feature lets you measure the exact distance covered by every shot. Apart from its aesthetically appealing design, the biggest benefit that you get from using this GPS is that you will have not only the largest but also the highest screen resolution for handheld devices currently available on the market. This GPS device also offers the speed of a smartphone when touched and in measuring and hence guaranteeing you of fast and accurate data when on the green. Speed and accuracy are perhaps the two most important things that golfers look for in golf GPS devices and with the PT4, you can be assured of both. Four-inch screen size is impressive as it makes it easy and more comfortable to read data on the screen even when in a hurry to get back to the game. It comes in a stylish Smartphone-inspired design, and most people will probably not know that it is a GPS just by looking at it without using it. The setup is very straightforward, and so you will have little to no trouble regardless of whether you have used a GPS device in the past or not. GolfBuddy PT4 makes it easier for you to understand holes layout thanks to the Super Hole Views feature. The PT4 is quite expensive when compared to other devices of the same caliber and features. It has touch sensitivity issues according to some users, but this will probably be overcome once you get used to it and understand how to operate it. Although you can buy different GPS devices at a fraction of what you pay for the PT4, it is worth every single coin spent on it. It also has a stylish phone like appearance that will make it cool to carry around and apart from this it is loaded with all the essential golf GPS features you can ever need. And so the PT4 is worth trying out despite the few shortcomings that you can easily overcome and in most cases you will hardly even notice them.